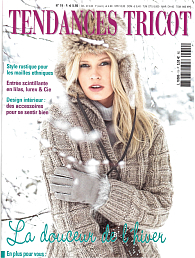 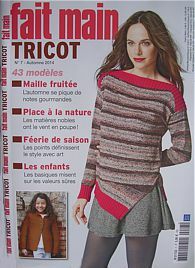 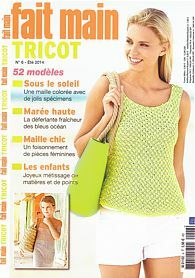 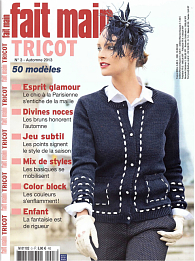 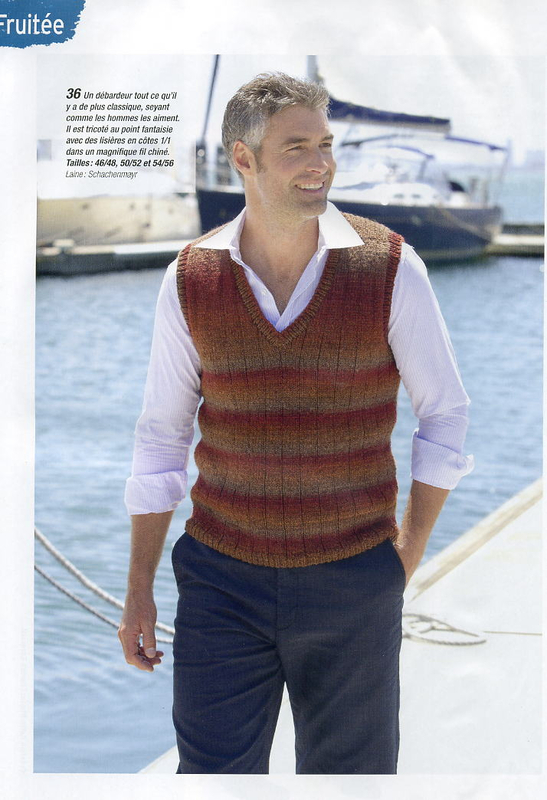 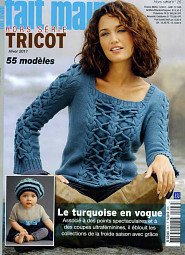 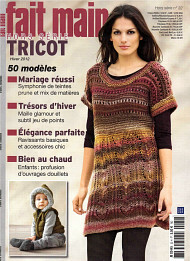 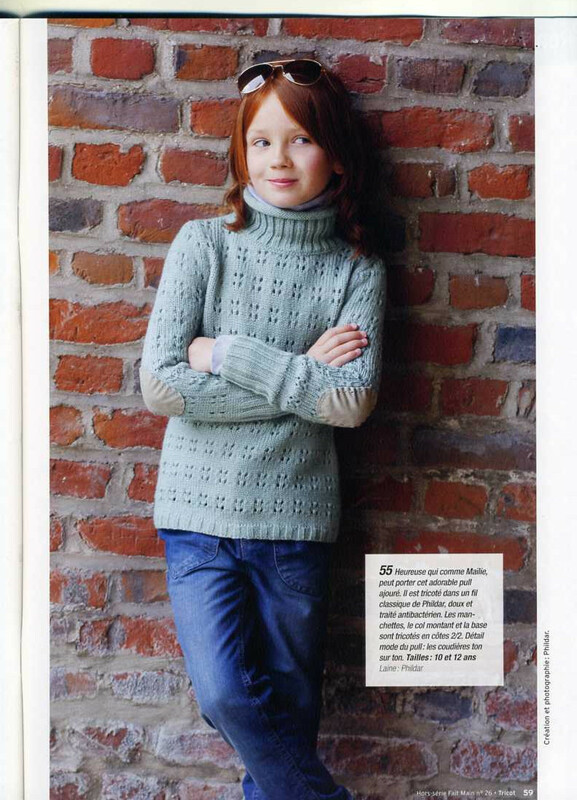 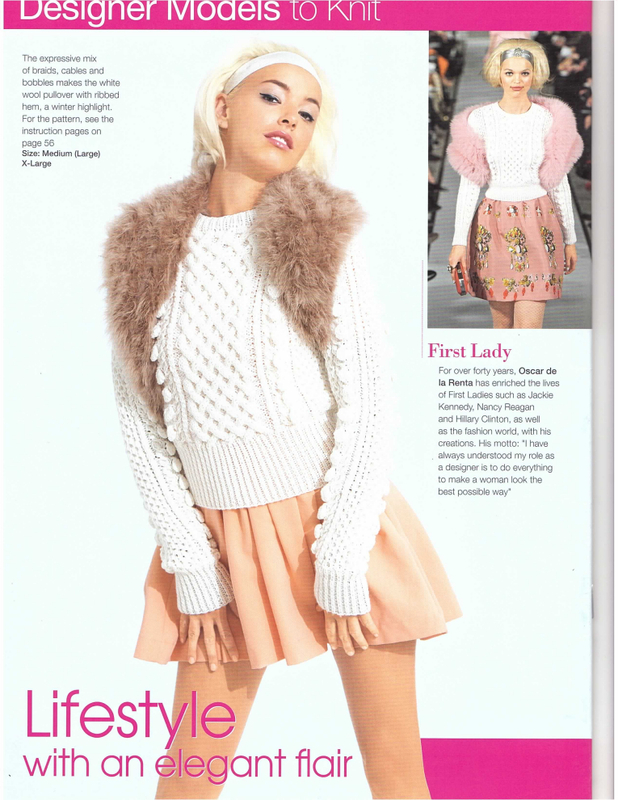 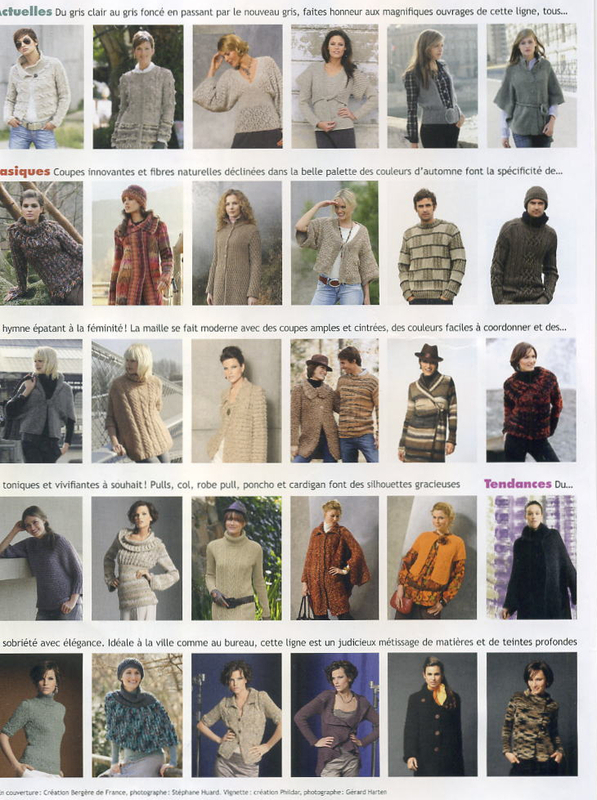 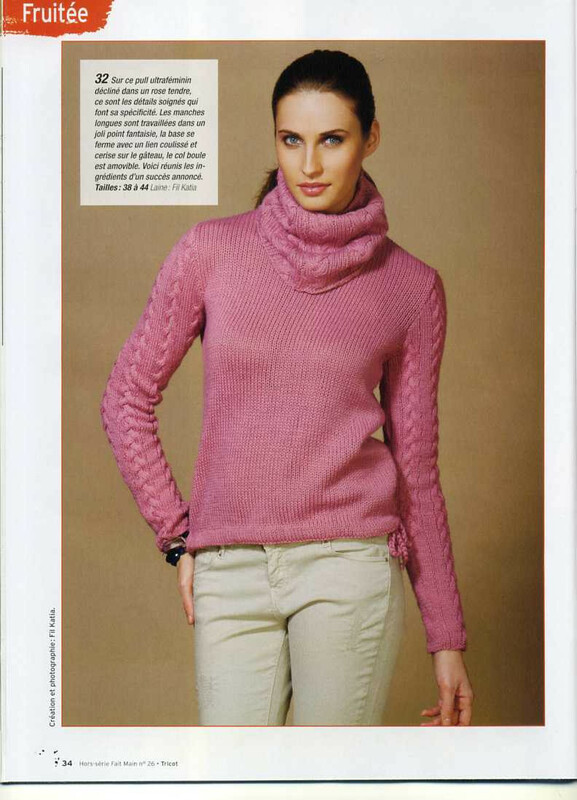 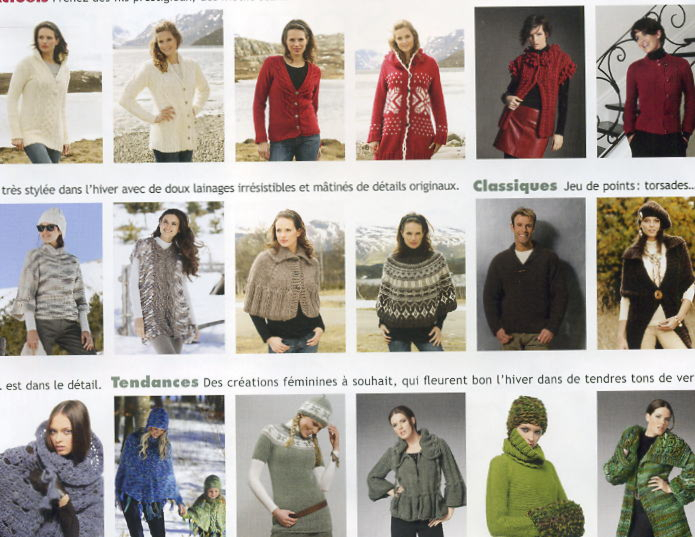 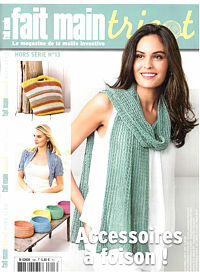 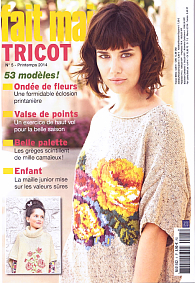 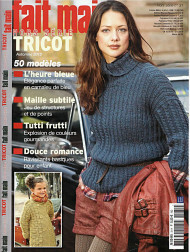 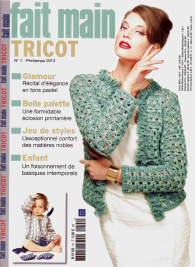 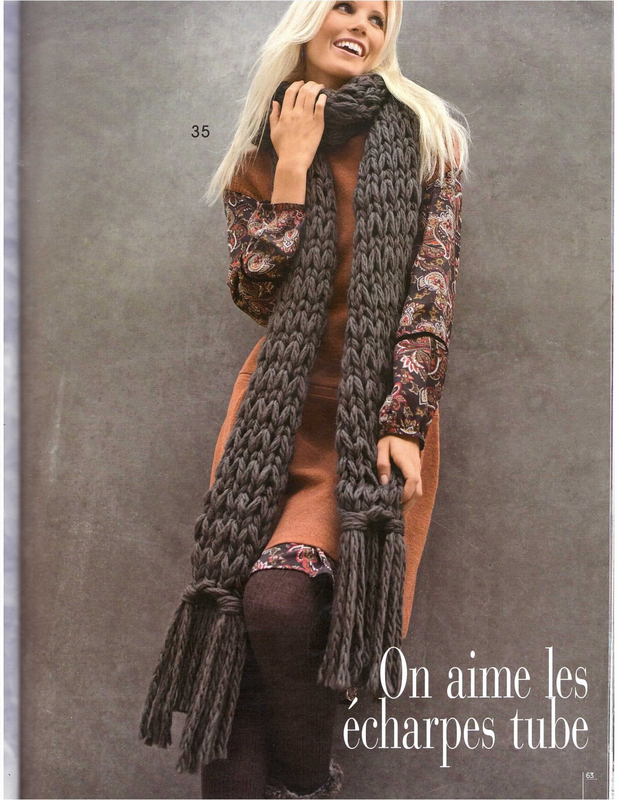 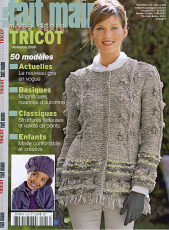 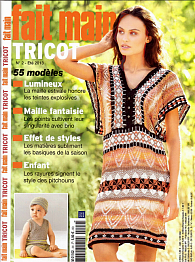 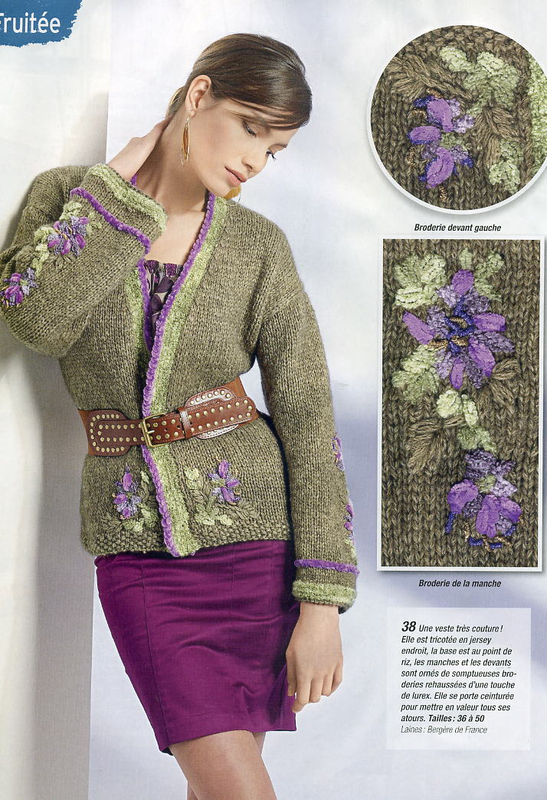 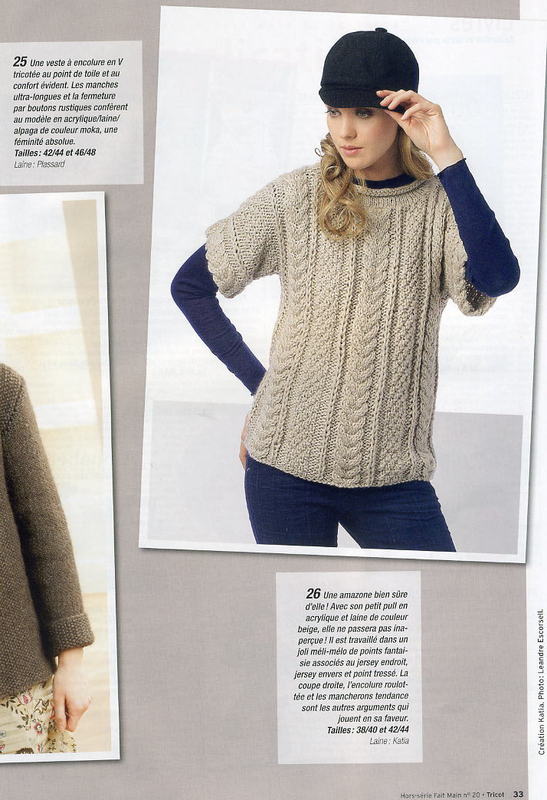 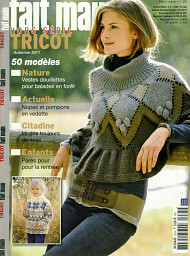 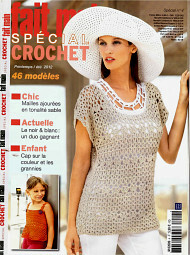 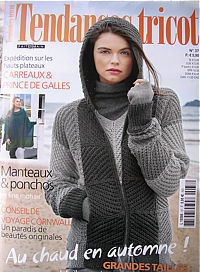 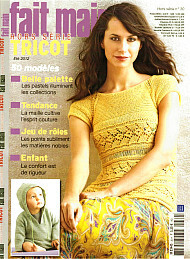 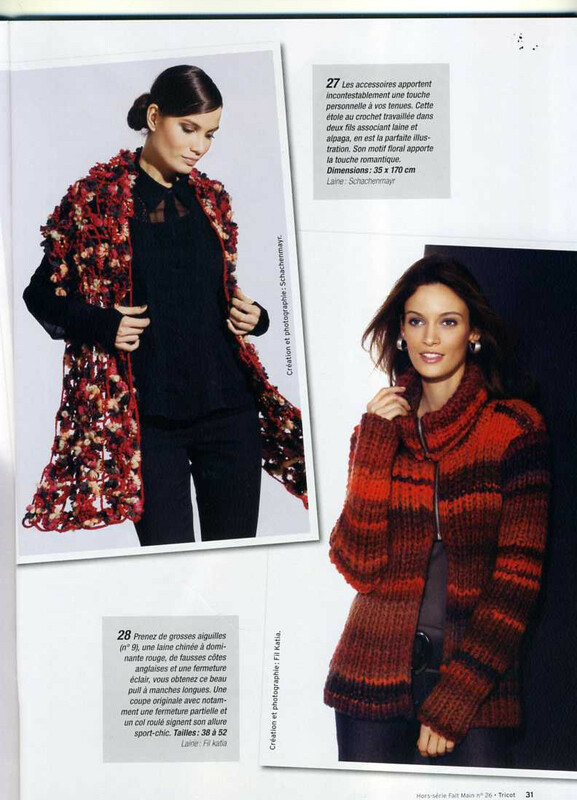 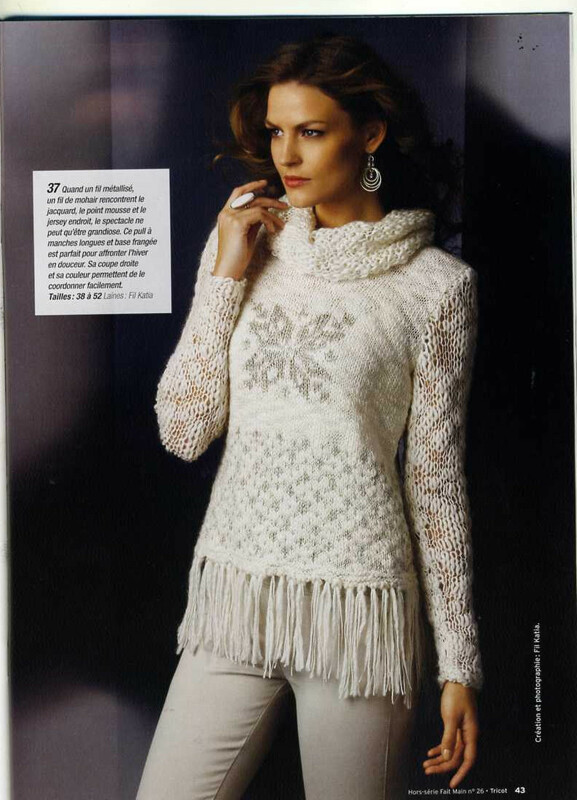 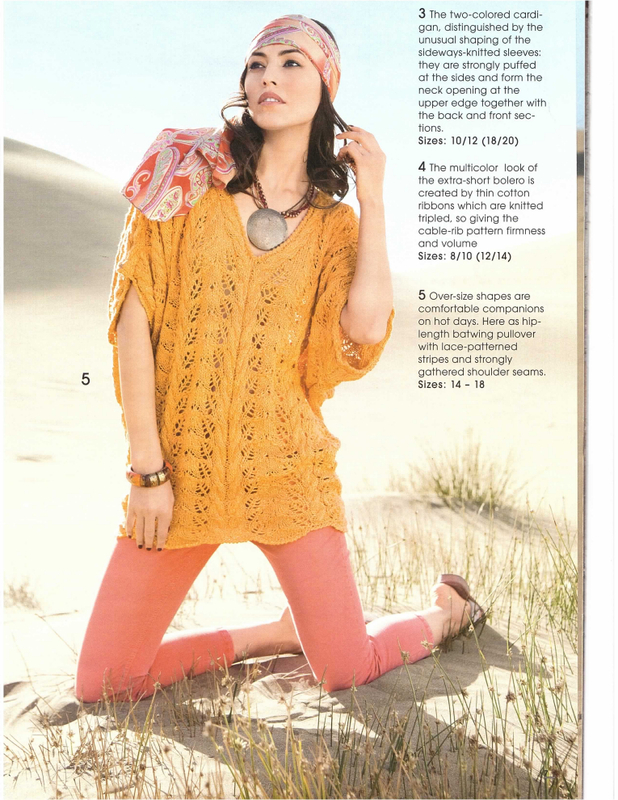 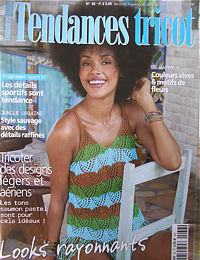 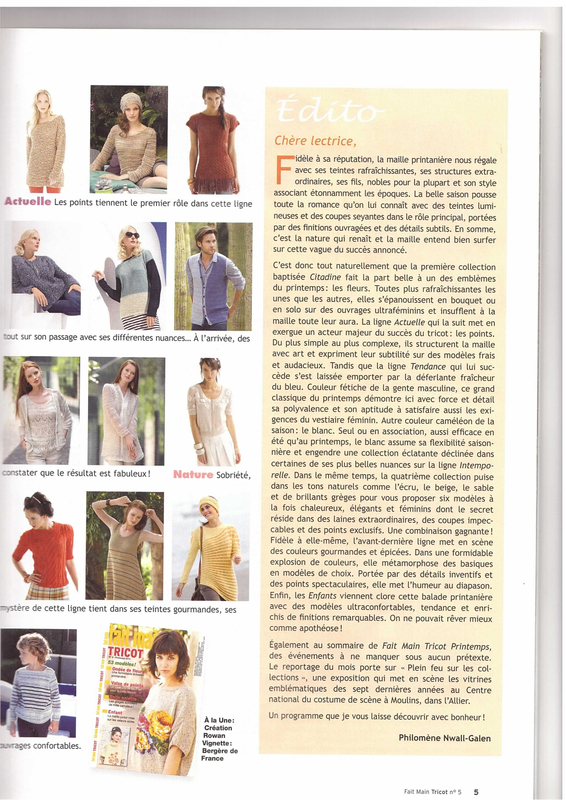 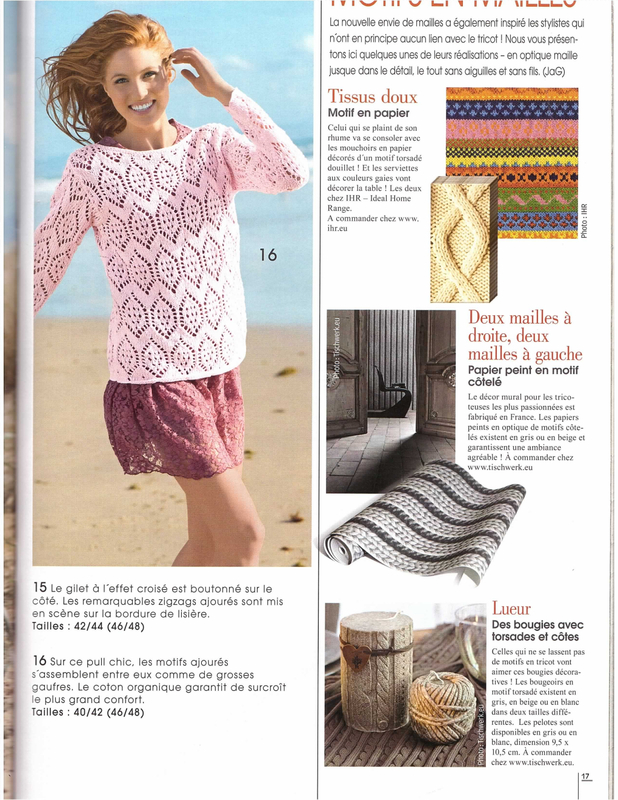 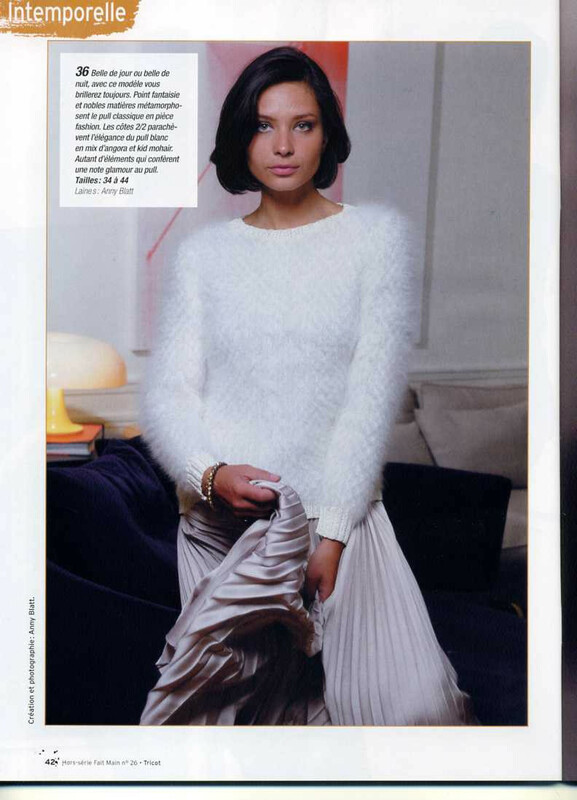 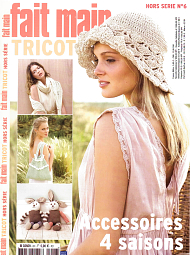 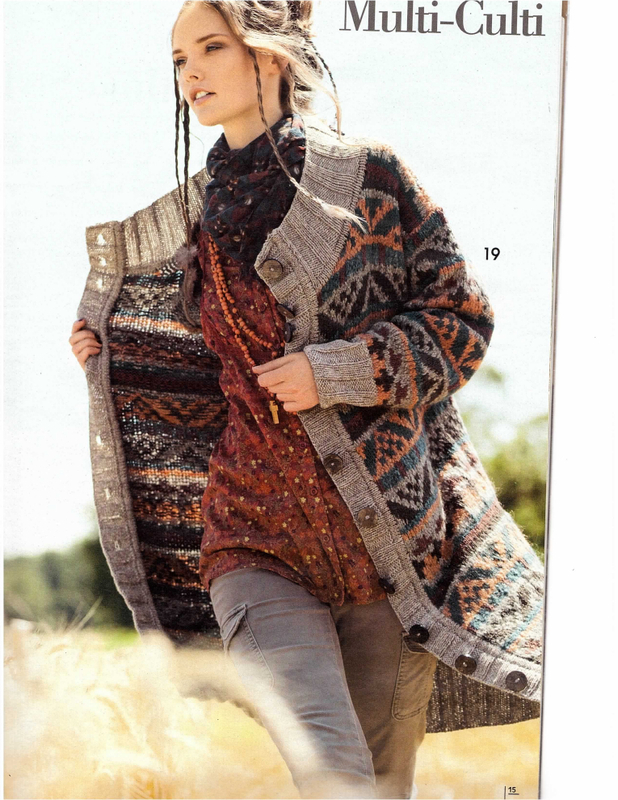 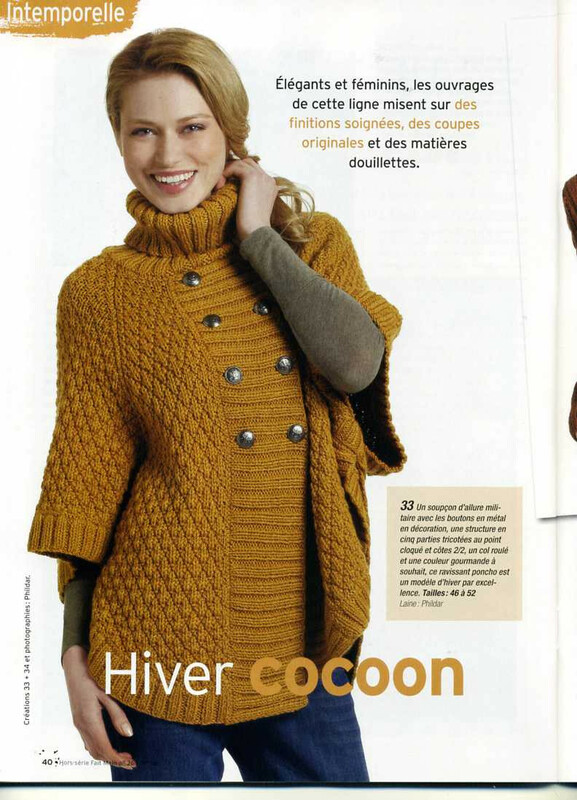 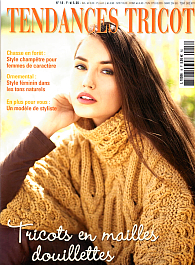 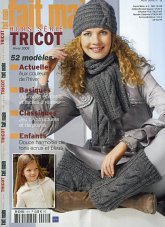 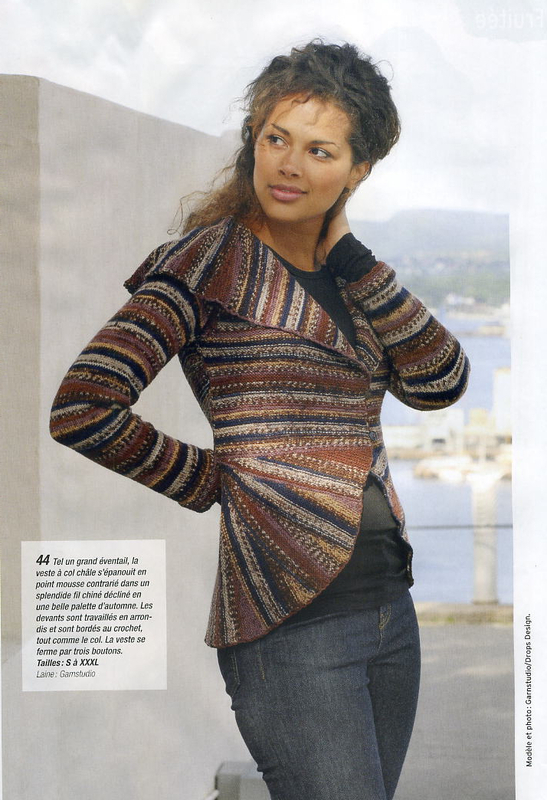 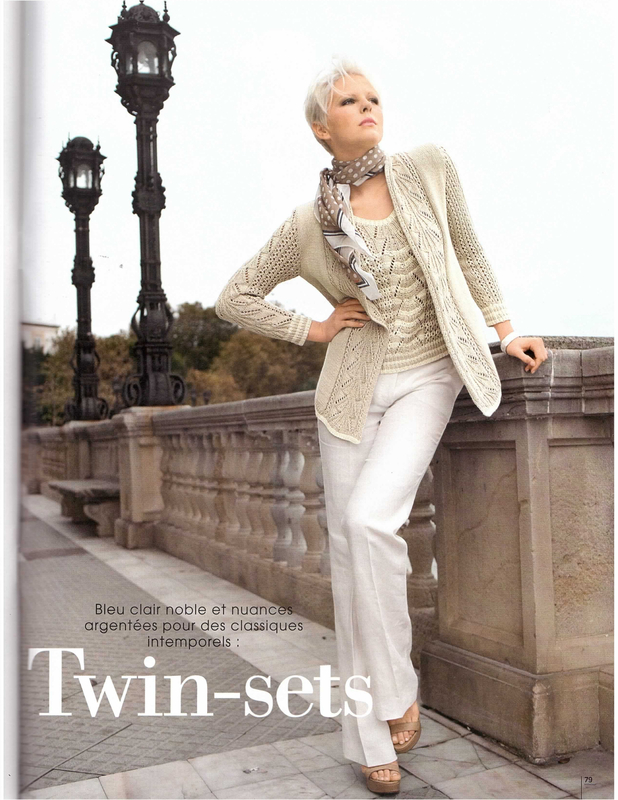 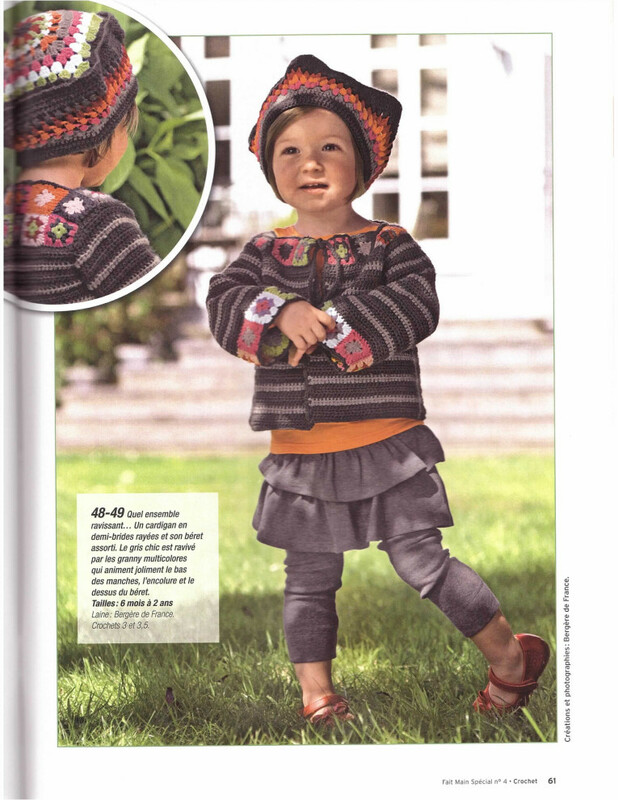 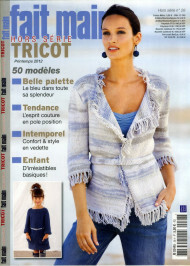 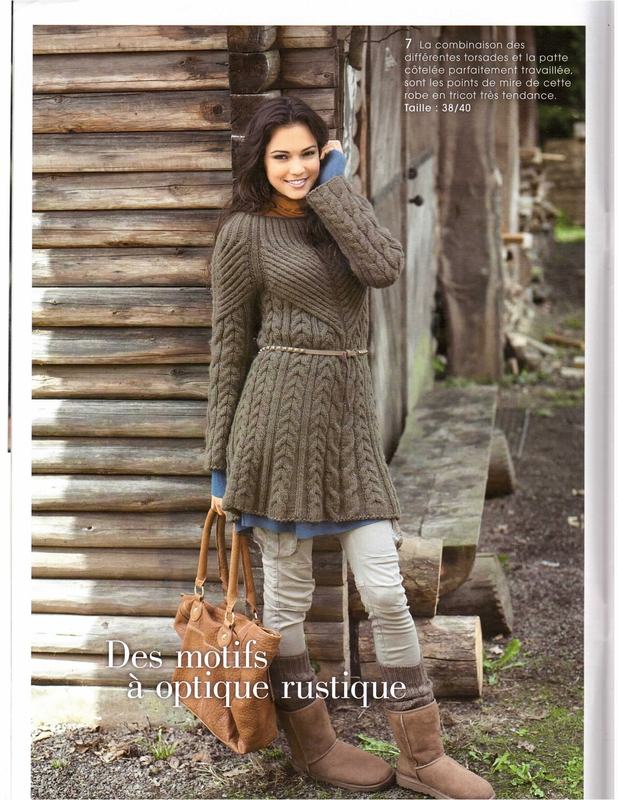 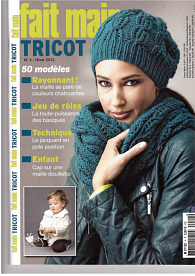 TENDANCES TRICOT, FAIT MAIN HS TRICOT and CROCHET: High-fashion and couture designs for ladies, men, kids. 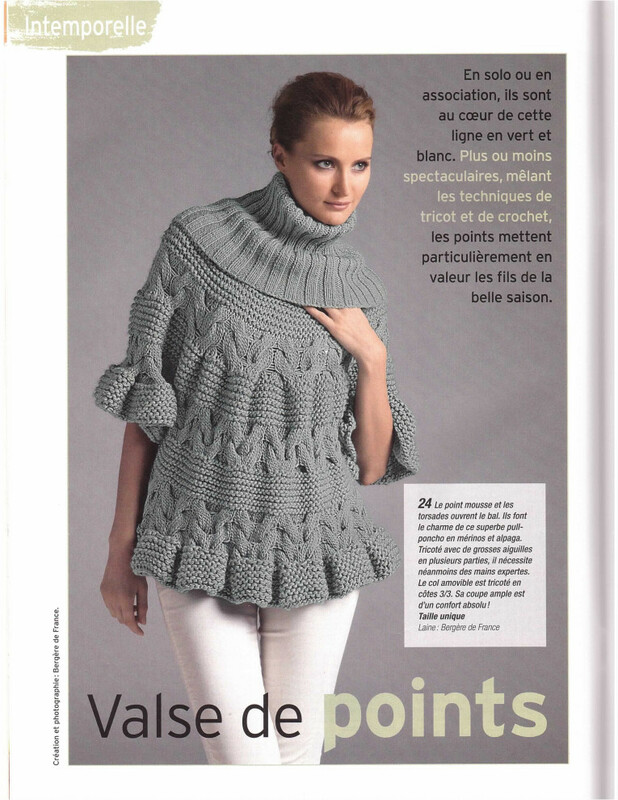 For advanced knitters and crocheters. 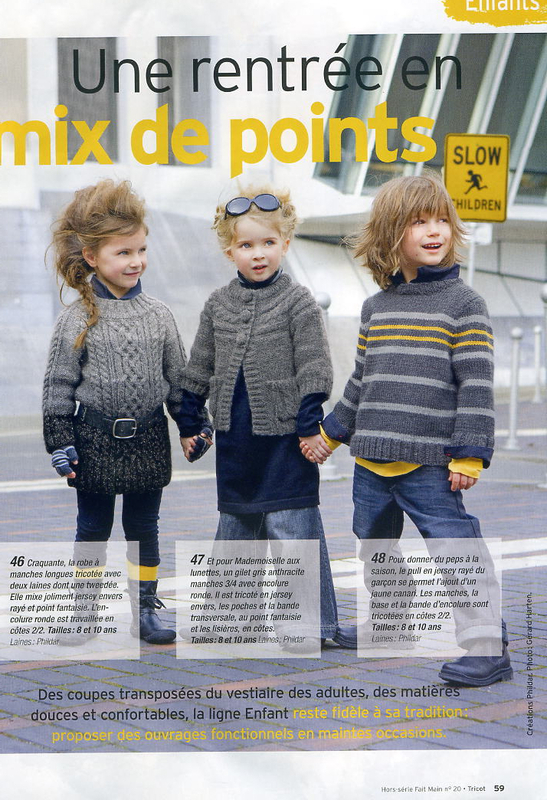 Sizes: ladies' 34-52, men's 44-54, kids' 8-16. 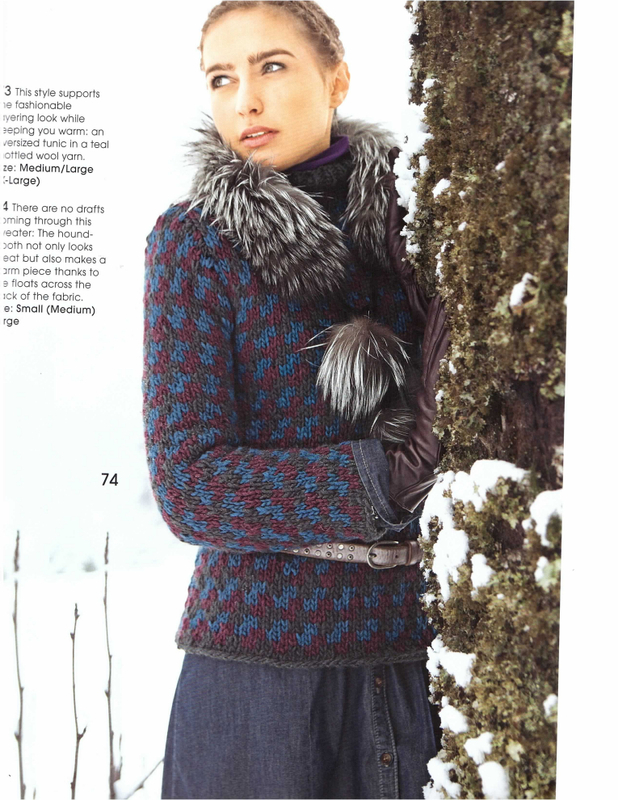 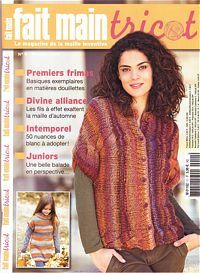 In each issue: Knitters' digest of the best seasonal designs from European yarn manufacturers: Fil Katia, Debbie Bliss, Rowan, Lang Yarns, Bergère de France, Plassard, Schachermayr, Anne Blatt and Bouton d'Or, ONline, Cheval Blanc, Drops, Garnstudio, Phildar, Anchor Artiste, ITO, Vanessa Montoro Designs.